The Angling Trust has announced a new partnership that will see UK based Spinlock become the Official Life Jacket Supplier to Team England’s Lure fishing squad for the forthcoming year. 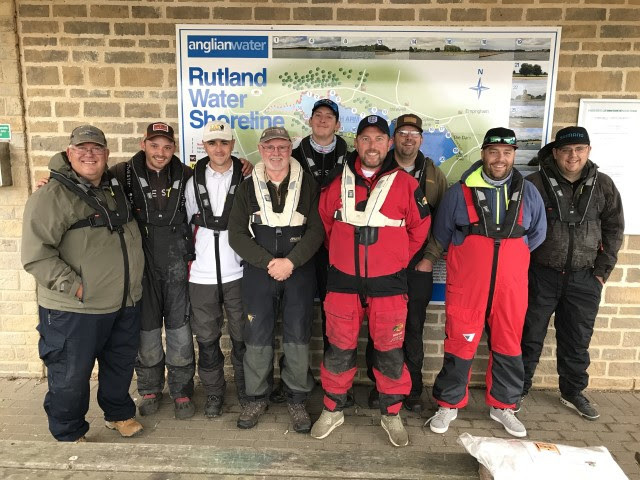 This covers two World Championships with England hosting the 11th FIPS-ed Carnivorous Artificial Bait Boat Angling World Championships between 10th – 15th October 2018 at Rutland Water, with the squad then heading to South Africa to compete in the World Championship in February 2019. The origins of Spinlock lie in yachting and sailing and have been a widely recognised for their experience in major events such as the Americas Cup and the Volvo Ocean Race, however several of their products are also suited for other water-based sports including angling. This new partnership presents an opportunity to promote their life preserving products to the angling market, particularly the Deckvest LITE lifejacket. Ash Holmes, Spinlock Ltd Technical Sales and Marketing said “We’re pleased to be supporting the England Lure Squad and the Angling Trust. Each member of the team will be wearing the Deckvest LITE during the World Championships, keeping them safe whilst on the water. This is the start of a great relationship and we’re looking forward to working across the wider angling community in the future."